Phew! Jennifer Aniston and Justin Theroux were almost at Jimmy Kimmel’s son’s party at the SAME time. Find out how they nearly missed each other here! Crisis averted! When it comes to seeing your ex, the last place you want to run into them is at a party. 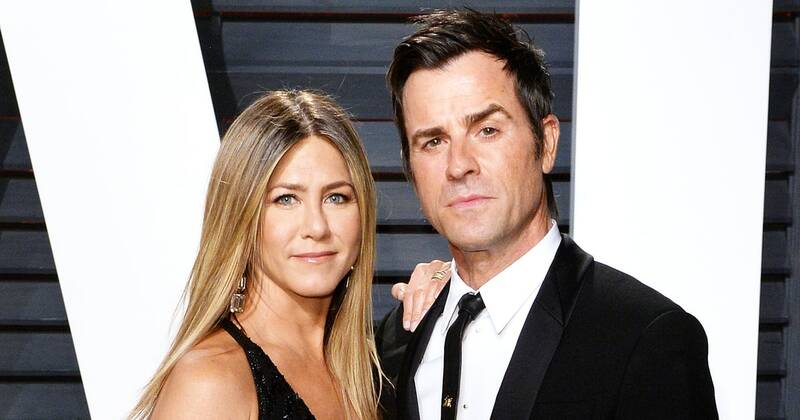 Unfortunately, this almost happened to newly estranged couple Jennifer Aniston, 49, and Justin Theroux, 46, according to Us Weekly. Being that they’re both A-listers, they were both invited to Jimmy Kimmel’s son’s first birthday on April 21. “Billy’s first birthday party was at the Kimmel’s Hollywood Hills home on Saturday. Jennifer got there around 12:15 p.m. PT. She arrived with a girlfriend and was wearing the hand brace on her left hand. As she arrived to Jimmy’s house, Justin was seen leaving,” an eyewitness told the outlet. What a close call! “Justin spent about 40 minutes at the party. Jennifer left around 2 p.m. PT. Justin was in and out and acted totally normal. Jen did look a bit nervous… they didn’t see each other,” the source continued. We definitely don’t blame Jen, that could have been totally AWKWARD! 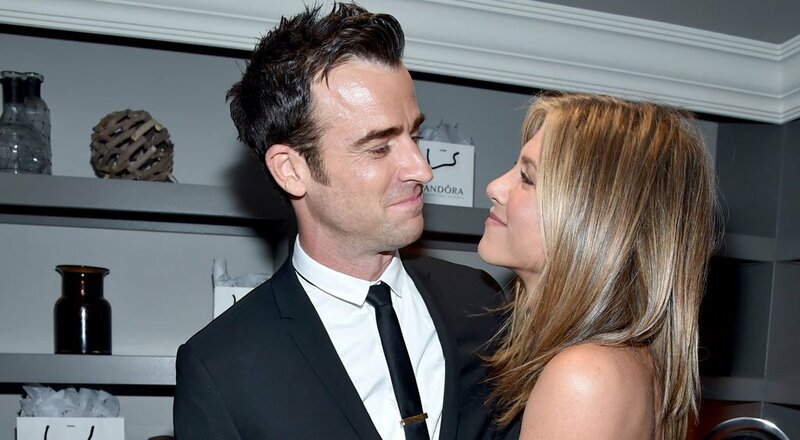 After two years of marriage, Jennifer and Justin called it quits back in February. The news came as quite the shock especially since they seemed so happy together. “In an effort to reduce any further speculation, we have decided to announce our separation. This decision was mutual and lovingly made at the end of last year,” their joint statement given to HollywoodLife read. “We are two best friends who have decided to party ways as a couple, but look forward to continuing our cherished friendship. Above all, we are determined to maintain the deep respect and love that we have for one another,” their statement continued. Since their split, Jen reportedly met up with her ex-husband Brad Pitt, and Justin was spotted out with actress Aubrey Plaza. However, Justin’s “meeting” with Aubrey had Jen pretty freaked. “Jennifer is shook after seeing the pics of Justin with Aubrey. Whether it’s work-related or not, it still stings to see him with a pretty, younger actress,” a source close to Jen told HL EXCLUSIVELY. So, we can totally understand why seeing him at Jimmy’s party would be a little weird! We have loved her, adored her and always wanted to be like her. We have grown up watching her all this time. Jennifer Aniston was our very favorite character from F.R.I.E.N.D.S. She is none other than Jennifer Aniston who had stolen so many hearts and became the queen of the celeb town. Jennifer Aniston American actress was born on February 11, 1969, in Sherman Oaks California, US. Jennifer Aniston is the daughter of actors John Aniston and Nancy Dow. Jennifer Aniston has two half-brothers namely John Melick who is her elder maternal half brother and then there is Alex Aniston the younger paternal half-brother. Her father’s best friend Telly Savalas was her Godfather. When Jennifer Aniston was a child she had lived in Greece with her family for a year and then afterward they shifted to Eddystone in Pennsylvania at her grandmother’s apartment. At Eddystone, Jennifer Aniston used to attend a local elementary school. Jennifer Aniston moved to New York City and she was prohibited to watch TV despite her father was an actor and had his television appearances, but somehow Jennifer Aniston got her way to counter back the prohibition. When she was 9 years old her father and mother got separated and at that time she was going to the Waldorf School. Over there she recognized her talent of being an actress. Jennifer Aniston did her graduation from Manhattan's Fiorello H. LaGuardia High School of Music & Art and Performing Arts and also was a part of the drama society over there. Jennifer Aniston also told the resources that Jennifer Aniston had a water phobia that she cannot go underwater because when she was a child she drove her bicycle in the swimming pool and never let go of it and since then Jennifer Aniston has developed this fear of going underwater. Jennifer Aniston started her acting career in 1988 by commencing with Off-Broadway productions for projects like For Dear Life and Dancing on Checker’s Grave. To support herself financially and be stable in the big city she did several part time jobs like being waitress, a bike messenger, and a telemarketer. In 1989 she made her appearance on The Howard Stern Show as a spokes model. During that year she moved her way back to Los Angeles. In 1990 Jennifer Aniston was cast in a short-lived regular TV series named Molloy. Then she was starred in a TV series named Ferris Bueller which was an adaptation of the movie Ferris Bueller’s Day Off. Jennifer Aniston has also made her appearance on two other TV series which were not so great on the screen namely; The Edge and Muddling Through. In 1993 she was starred in a horror film named Leprechaun and a movie named Camp Cucamonga. Jennifer Aniston was very unsatisfied with her career at that time and was depressed because of 4 unsuccessful TV ventures which Jennifer Aniston had got. Then one day Jennifer Aniston met Warren Littlefield at a gas station in Los Angeles to get some reassurance about her career. He is the head of NBC consoled her and asked her to continue with acting and a few months later cast her to the show F.R.I.E.N.D.S. she was originally called to audition for the role of Monika Geller on the show but later they thought that Courtney Cox was better suited for that role. Thus Jennifer Aniston was given the role of Rachel Green on the show. Later that year she was also offered a spot on the show Saturday Night Live but she turned the offer down as she had got her role to play in Friends. Jennifer Aniston continued to be on the show from 1994 to 2004. The show was an international success Aniston along with her other co-stars gained a global recognition and worldwide fame which she deserved. The resources also say that she had been getting US$1 million forever episode of Friends for the last 2 seasons. Jennifer Aniston had also won an award for Outstanding Lead Actress in a Comedy Series for her performance in the show. Jennifer Aniston was also nominated for Golden Globe Awards and has won the Golden Globe Award for Best Actress – Television Series Musical or Comedy. This is said that according to the Guinness Book of World Records she and her female co-actresses on the show were the highest paid TV actresses by 2005 that were getting US$1 million per episode. Jennifer Aniston character was romancing David Schwimmer who was portraying Ross Geller on the show and the couple was quite famous among the people and was voted as the best couple several times on different polls and magazines as well. Jennifer Aniston was quite led back for the four years gone badly in her career but then in 1996, she got an opportunity with a film named She’s the One and also Dream for an Insomniac in 1998. Jennifer Aniston role in the movie Picture Perfect pitched the response of critics towards Jennifer Aniston acting and everyone spoke well about her talent and said that Jennifer Aniston has got the presence on the screen. Then she was seen in the movies like The Object of my Affection (1998) and Office Space (1999). In 2002 she did The Gone Girl which gave her the best box office result with US$14 million grossing. Many critics believed that this movie was her breakthrough from the image Jennifer Aniston has got from doing the show Friends and this is the proof that Jennifer Aniston is a versatile actress and also ready to take her hold in the movies as well. Like every other celebrity, Jennifer Aniston has always been the talk of the town since the very beginning. Jennifer Aniston had been linked p to many stars and her life has been a roller coaster in terms of her relationships. Jennifer Aniston was seen dating Charlie Schlatter during the shooting of Ferris Bueller in 1990. After Jennifer Aniston broke up with him she had a long term relationship with Daniel McDonald who was also an actor and the relationship lasted for 4 long years from 1990-1994. Then Jennifer Aniston dated a musician in 1995 named Adam Duritz. Then in November 1995, she was seen dating Tate Donovan and their relationship lasted for 3 years from 1995-1998. They got engaged but finally after a while they broke-up. It was later after 1998 Jennifer Aniston relationship with the famous Hollywood hottie Brad Pitt was quite in news for a long time. They had been dating each other and also appeared on various public occasion together. Pitt was also seen on one of the episodes of Friends making his guest appearance. Then finally after dating for 2 years, the couple got married on July 29th, 2000 getting a great and lavish Malibu wedding done. For the following years of their marriage, it was considered as the rare Hollywood success. But as they say, good things do not last forever their marriage also didn’t. So they announced the news of their separation on January 2005 and finally their divorce was through in November 2005. During their divorce proceedings, there was intense speculation in the media that Pitt had been unfaithful to Aniston with his Mr. & Mrs. Smith co-star Angelina Jolie, whom he started dating soon after the split. After a few months after their split, a havoc came into the world with the t-shirts being printed saying ‘Team Jolie’ and ‘Team Aniston’. This divorce was always son the front covers and pages of the magazines, newspapers, and tabloids and is still on the hot topic of discussion in the press. In 2015 Aniston stated in an interview that nobody ever did anything wrong, it was just that sometimes things happen. In 2005, Jennifer Aniston media reports said that the split was due to Aniston's refusal to have children with Pitt. Aniston denied that this was the cause of their split in an interview, saying, "I've never in my life said I didn't want to have children. I did and I do and I will... I would never give up that experience for a career." 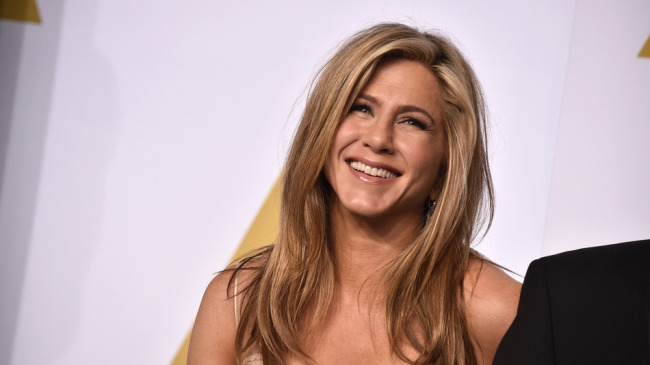 Jennifer Aniston said that her split with Pitt made her reach out to her mother who was estranged for a long time when her mother wrote a book in 1999 named From Mother and Daughter to Friends: A Memoir. Then she dated Vince Vaughn in 2005 to 2006. Then in 2007, Jennifer Aniston had a relationship with British Model Paul Sculfor. Aniston started a relationship with actor, director, and screenwriter Justin Theroux in May 2011 and they also bought a house in Los Angeles. In 2015 they got married at their Bel-Air estate. Gwyneth Paltrow's Wedding Rehearsal Di..
Jennifer Aniston & Brad Pitt: Look Bac..
Jennifer Aniston & Brad Pitt Reportedl..
Jennifer Aniston & Justin Theroux: Why..
Is Jennifer Aniston Ready To Date Agai..